Paul was born in Birmingham and educated at St Francis of Assisi School in Aldridge in the West Midlands. He was fortunate to have the inspirational husband and wife team Peter & Alvena Grant who ran the Midland Boy Singers, as his history and music teachers. The Midland Boy Singers was a highly respected non-church affiliated boys choir which performed throughout the UK and regularly toured Europe. Paul became one of the choir’s principal soloists and remained so until he left school to take up a place at the Birmingham School of Music (now Conservatoire), where he studied voice and piano, graduating in both teaching and performing in 1982. During his final year at college Paul began teaching and realised, even at this early stage, that this was to be his true vocation as a musician. His first teaching post was at the prestigious Solihull School, where he worked with many young singers who went on to become choral scholars at Oxford and Cambridge. Paul also directed the sixth form opera group, which performed a wide variety of productions to great acclaim. Whilst still employed at Solihull School, Paul was invited to teach at both Rugby and King Edward VII Schools, both of which have great musical traditions. During this time Paul also pursued a career in oratorio and concert performance, as well as touring with Cannon Hill Opera Company (now Birmingham Opera). 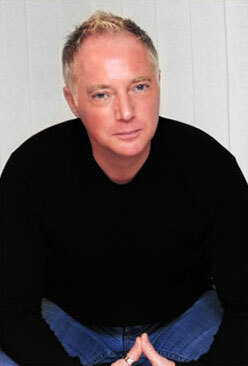 In 1986, Paul was invited to become the Head of Singing at the Birmingham School of Speech and Drama and became Director of Music during his subsequent eight-year tenure, He stage and music directed over 20 productions , which were performed both in-house and on tour, as well as the annual West End Showcase productions at many of London’s best-known theatres. During the same period, he was also engaged as a voice teacher and Opera Project Director at the Guildford School of Acting. In 1992, Paul joined the vocal staff of the Welsh College of Music and Drama in Cardiff. He taught there for five years while at the same time building up a private studio in London where he initially worked mainly with performers of the musical theatre. Together with Mary Hammond, Paul ran the musical theatre course at the Oxenfoord Summer School for many years. Following this assocation, Mary invited Paul to be an external assessor for the newly-formed musical theatre course at the Royal Academy of Music. Two years later, Paul joined the academy’s teaching staff and spent six happy years in the musical theatre department. Paul’s reputation as a teacher continued to grow, and his private studio became so busy that he made the decision to devote all his time to freelance teaching, concentrating primarily on working with classical singers, having been trained as one himself. Paul is in high demand to coach choirs and vocal ensembles, and has done a considerable amount of work with both Men’s and Ladies Barbershop Association groups throughout the UK. Having presented the first ever Estill course in Spain, Paul was subsequently invited back on a regular basis to present further courses and give masterclasses, which he continues to do to the present day almost 20 years later. Paul has had the privilege of working with high-calibre artists such as Dame Felicity Lott, Dame Margaret Price, Barbara Bonney,Sir Thomas Allen, Ian Bostridge, Amanda Roocroft, Christopher Maltman, Sally Matthews and Della Jones, amongst many others. In 2005 Paul was invited to become International Guest Tutor at the New Zealand Opera School – a continuing association with Paul attending his tenth opera school in January 2015. In Sept 2006 Paul was invited to join the Jette Parker Young Artists Programme at the Royal Opera House Covent Garden as Vocal Health & Technique Advisor. Paul is currently vocal consultant to the Göteborgs Operan in Sweden. Other recent engagements include masterclasses at the Sibelius Academy, Helsinki, as well as the Choir of New College Oxford, Collegium Musicum, Ulster Youth Choir, Charles Wood Summer School and the Conservatorio Superiore de Gran Canarias. Since 2009 Paul has been Artist in Residence at the Opera Studio of the New National Theatre in Tokyo, with further invitations to give masterclasses at the Metropolitan Opera Young Artists Programme in New York as well as Frankfurt Opera. Paul was a core member of the Samling Masterclass Team for 15 yrs, an Arts charity based in the North-West of England, offering week-long programmes of intensive masterclasses to young professional singers and accompanists from all over the world.